As the improved file manager, File Explorer affords you many new features, like Quick access and dark mode. Of course, it is unavoidable that you will come across File Explorer problems on Windows 10. Sometimes, you noticed File Explorer not responding or failed to open, or you are unable to locate the file or folder you need as fast as you can. All these make up the need for this article to introduce keyboard shortcuts for File Explorer on Windows 10. In this post, you will learn the best and the most useful hotkeys for File Explorer on Windows 10 not only for sake of fast opening File Explorer but also using Windows 10 Explorer more conveniently. To be more specific, the following File Explorer hotkeys are able to configure Quick access, OneDrive, folder settings, etc. Now get started to get the Windows Explorer shortcuts on Windows 10. Once get into File Explorer, you can take advantage of the File Explorer keyboard shortcuts for Windows 10 to find files, change settings related to Quick access, OneDrive, etc. Above all are the best and most frequently used hotkeys for File Explorer. 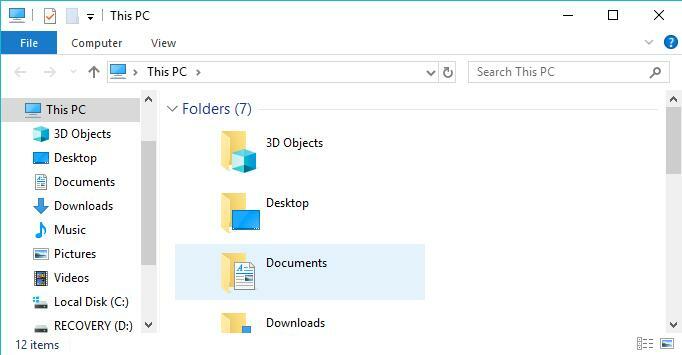 You can choose from them to easily find the folder you want or to get help with File Explorer on Windows 10. In some sense, Windows Explorer can greatly smoothen the use of File Explorer.